Sometimes you strive to say something, but you cannot articulate it in words as you would like, so you say nothing. Sometimes, however, you come across other blogs that say it perfectly. Such is the case for me today. Phil’s post quotes Deepak Chopra as well. So thanks Phil and thanks Deepak! Intention springs from our deepest desires, and those desires are shaped by karma. You and I don’t have the same karma; therefore we dont have exactly the same desires. We have loved different people, knelt at different graves, prayed at different altars. The specifics of desire are unique to each of us. Yet if you follow the chain of desire, in the end we are all the same. We want to be happy. We want to be fulfilled. We want meaning and purpose in our lives. We want a sense of connection with God or spirit. We want other people to respect us and love us. And we want to feel safe. These desires are universal. But the route each of us takes to satisfy them is uniquely our own, based on our individual experiences and memories, or karma. Were all heading for the same destination, but we take different roads. We arrive together, having traveled our different paths. This is quite a wonderful book. It explains in great detail how and why the universe lives in each of us and works through each of us. This knowledge is the key to realizing our full potential as human and spiritual beings. I highly recommend it! Phil is the author of Sixty Seconds: One Moment Changes Everything, a collection of 45 inspiring, life-changing stories from prominent people he interviewed, including Joan Borysenko, Deepak Chopra, geneticist Dr. Francis Collins, acclaimed sportswriter Frank Deford, Dr. Larry Dossey, Wayne Dyer, Dan Millman, Caroline Myss, Dr. Christiane Northrup, Dr. Dean Ornish, Dr. Rachel Naomi Remen, Dr. Bernie Siegel, James Van Praagh, singer Billy Vera, Doreen Virtue, Neale Donald Walsch, and bassist Victor Wooten. 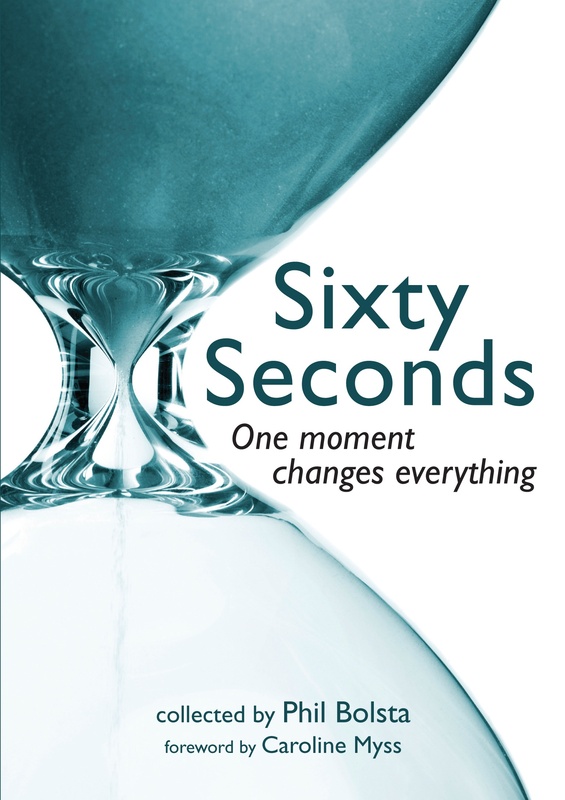 Click here to buy Sixty Seconds. Click here to ask Phil to add you to his e-mail list for updates on his blog and books.